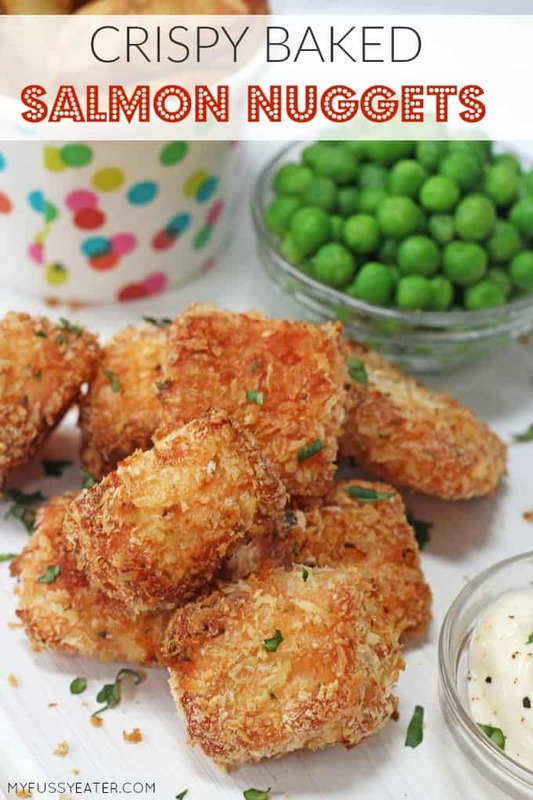 These delicious Crispy Baked Quinoa Chicken Nuggets are a tasty and healthy twist on a classic children’s favourite! Does anyone else find it difficult to get their kids to eat chicken? My daughter (the original fussy eater!) is particularly bad. Lately I’ve had to hide chicken in rice and pasta so I’ve been trying to find some other ways to get her to eat it without too much drama. 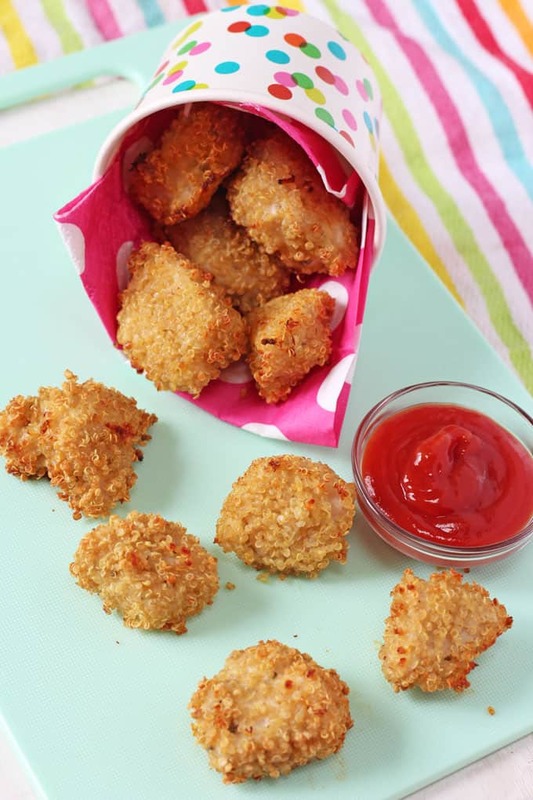 Homemade chicken nuggets always go down well with the kids so I decided to try an even healthier version by using quinoa to coat them. I was really impressed with how they turned out. 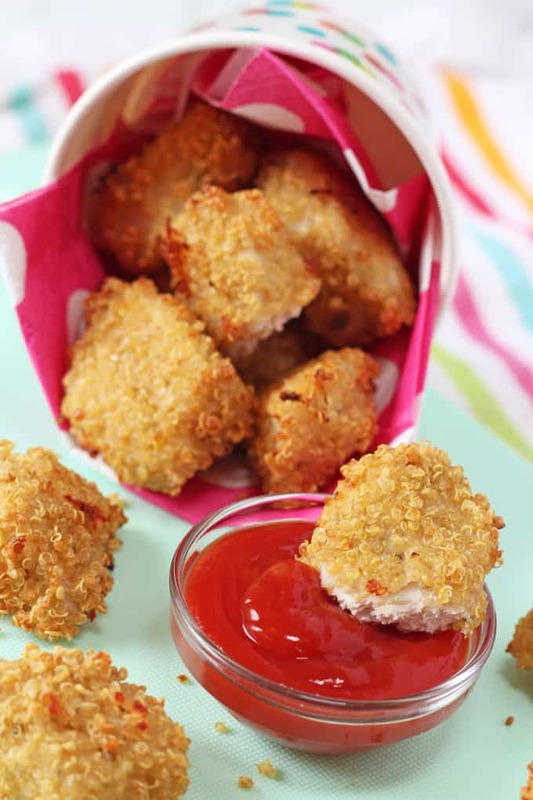 Often baked chicken nuggets can taste a bit bland and just don’t compare to the deep-fried version. 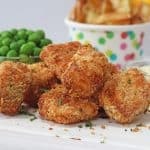 But using quinoa to coat these nuggets made them really crispy, despite the fact they were baked and I used minimal oil. 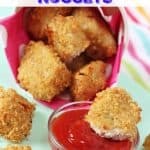 I know homemade chicken nuggets can seem like a bit of a pain to prepare but you can easily make double or triple the recipe and freeze a big batch. On busy days you can simply take them out of the freezer and cook them from frozen. Super easy! 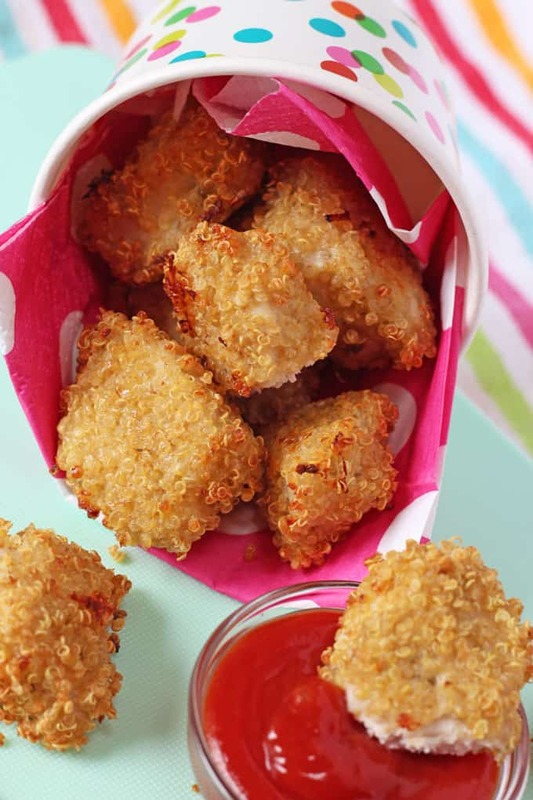 You can also easily change up the flavours used in these nuggets. I added some dried oregano and salt and pepper to the quinoa but you could instead use some smoked paprika, a peri peri spice or even some finely grated parmesan to add a different taste. Quinoa is naturally gluten free so if you want to make these nuggets completely gluten free then use a gluten free flour to coat them. If you try this recipe please do let me know what you think. Or tag me in a picture on Facebook, Twitter or Instagram. I always love seeing pictures of what you have been making! Preheat the oven 180c / 350f and line a baking tray with parchment paper. Cut the chicken breast into small bite sized pieces. When you add the quinoa it really increases the nuggets in size so keep the chicken pieces small! In one bowl add the flour and in a second bowl crack in the egg and whisk. In a third bowl add the cooked quinoa and herbs and season to taste with salt and pepper. Take one piece of diced chicken and coat in the flour, dip in the egg and the roll in the quinoa. Place on the baking tray and then repeat with each piece of chicken. Once all the chicken has been coated, spray the nuggets with some spray oil. Bake in the oven for 20 minutes and then turn and bake for another 5-7 minutes. 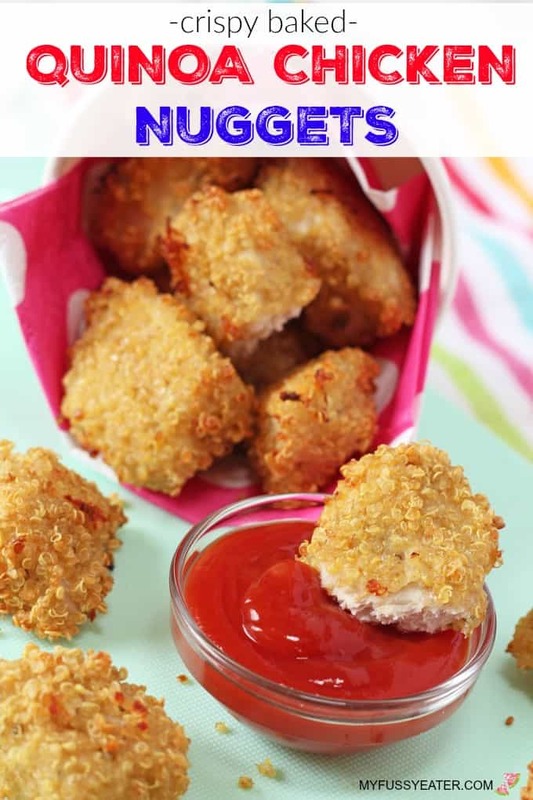 These nuggets can easily be frozen too. Prepare as normal but instead of cooking freeze them in a single layer until solid then transfer to a freezer bag or container. Store in the freezer for up to 3 months. They can be cooked from frozen but you will need to add an extra 10 mins approx to the baking time. This is literally one of the most delicious things I have made! 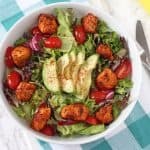 thank you for the sharing this recipe!! do you think it would work with quorn or fish instead of the chicken with the quinoa crumb? I love quinoa as it’s so versatile and super good for you too. 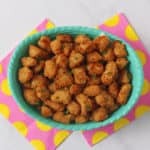 We really enjoyed these nuggets and I would never have thought of using them in this way.